Learning to drive with Paul and the LD system has been such a great experience. The clearly structured driving skills workbook, setting out the content of each lesson and explaining any prior information required, combined with Paul's support, infinite knowledge, and patience, has made learning to drive a truly enjoyable experience. I found Paul's instructive approach, explaining the details before applying them in practise, really useful and the most effective way of mastering the various areas required for safe and appropriate driving. 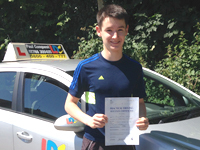 What became clear straight away was that for Paul, the goal was not simply passing the driving test, but rather preparing us in the best way possible for the future, even covering areas that would not appear in the test but would be important in preparation for future motoring. 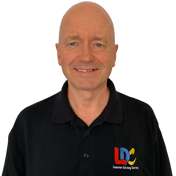 I cannot recommend Paul highly enough and I hope that many more people make the wise decision to choose him and the LD system to transform them into happy, highly competent, and safe drivers.